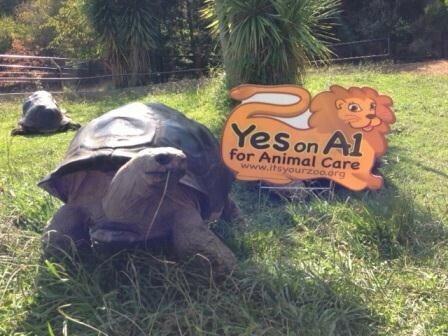 The huge donations to the Measure A1 campaign come in stark contrast to assertions made by the Zoological Society that it’s in desperate need of money and will have to eliminate programs for children if Alameda County voters reject the property tax measure. The Express previously reported that the Zoological Society’s federal tax returns show that the nonprofit appears to have plenty of money. From 2008 through 2010, the most recent year in which data is publicly available, the Zoological Society reported to the IRS that it had net operating surpluses averaging $2.6 million a year. As of October 24, the Zoological Society had committed to spending at least $819,620 in support of Measure A1. Attendees at a recent public forum on the measure said that Zoological Society Executive Director Joel Parrott told the audience that his organization planned to spend $1 million trying to get Measure A1 passed.